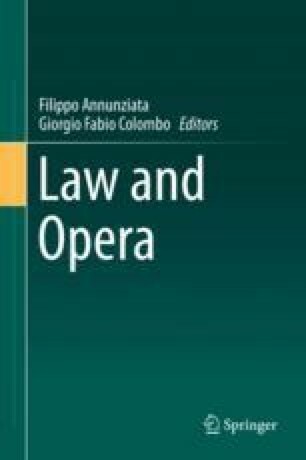 Law and opera may seem, at first glance, as two alien worlds, separated by immense cultural and thematical differences. The first is the world of rules, prescriptions, sanctions; the second is the world of imagination, passion, and spectacularization. However, law and opera can and actually do dialogue with each other, and on various different planes.